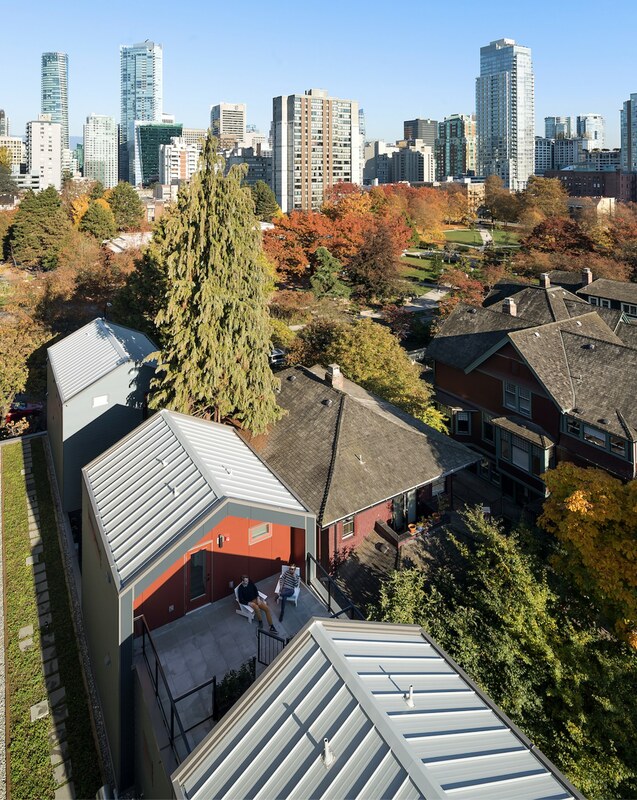 Characterized by the layering of many periods of the city’s history, the West End neighbourhood in downtown Vancouver showcases a diverse range of heritage buildings from the early 1900s. Its Mole Hill block has recently become home to an infill housing project by Haeccity Studio Architecture. 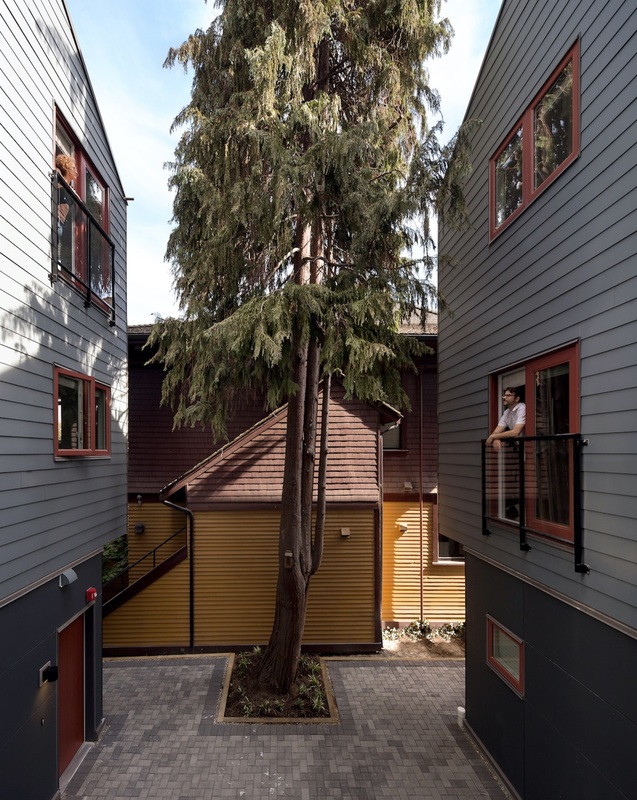 At a time when housing choice is a pressing issue in Vancouver, Haeccity addresses this need by proposing a three-storey walk-up, offering six dedicated rental units for tenancy with a rooftop, green roof and shared courtyard that supports the retention of an existing mature cypress tree. 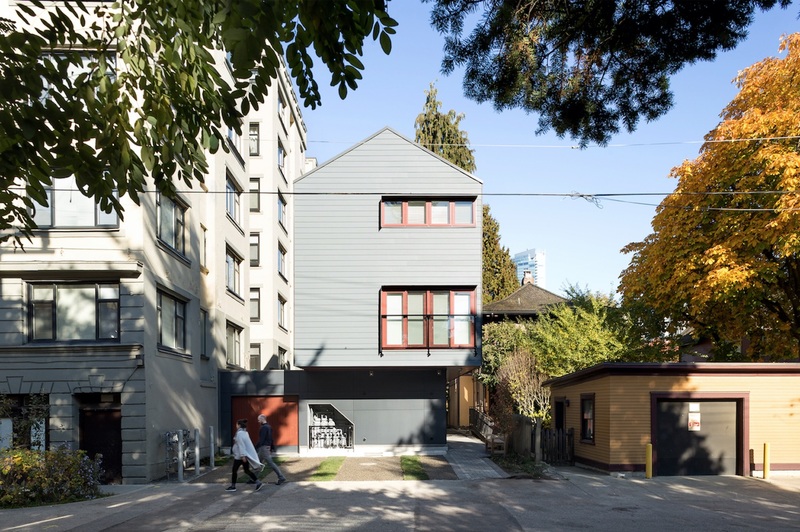 The project is sandwiched between a seven storey heritage building and a two-and-a-half storey heritage house. 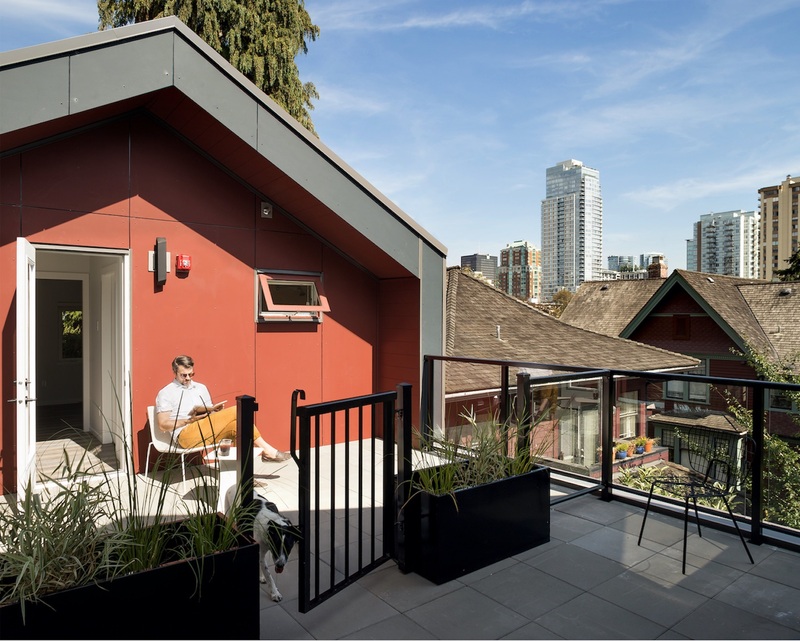 The heritage context of the neighbourhood shaped the contemporary structure, which gently inserts itself among the Victorian and Edwardian buildings. Its modern expression makes a deliberate nod to some of the more traditional typologies of the neighbouring Mole Hill houses, articulated through the sloped roof, separate exterior dwelling entrances, and a network of intimate paths and walkways. Despite challenging zoning and bylaw limitations, the resulting expression is very sculptural. Cantilevers and other formal moves are not simply stylistic—these gestures are determined by setbacks, fire, egress, and site conditions. They thoughtfully respond to all the parameters that are pushing and pulling the volumes around in order to find the most efficient use within a very constrained site. Haeccity’s project also considers key issues such as walkability, transit, car sharing, housing diversity, accessibility, and aging in place. 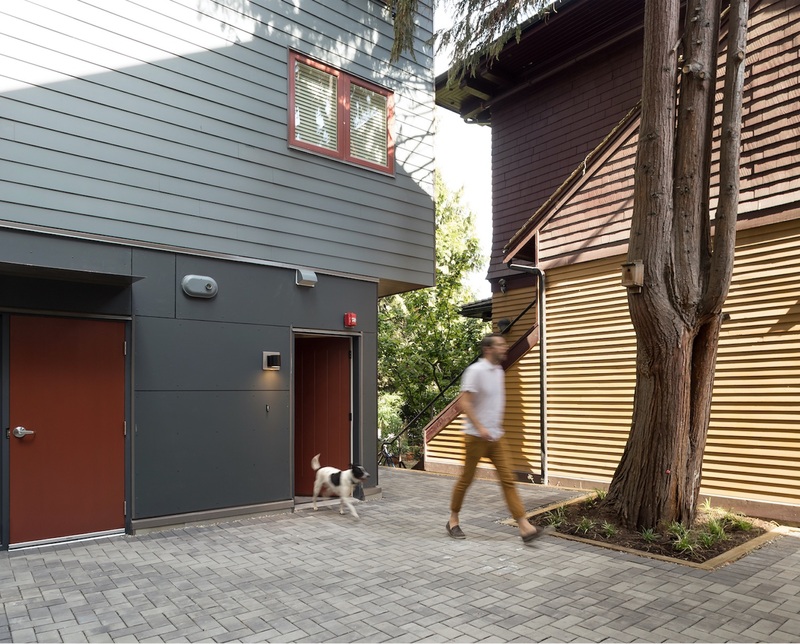 The lessons learned from the project inspired Haeccity’s first-prize winning entry to the Urbanarium ideas competition on Missing Middle housing.